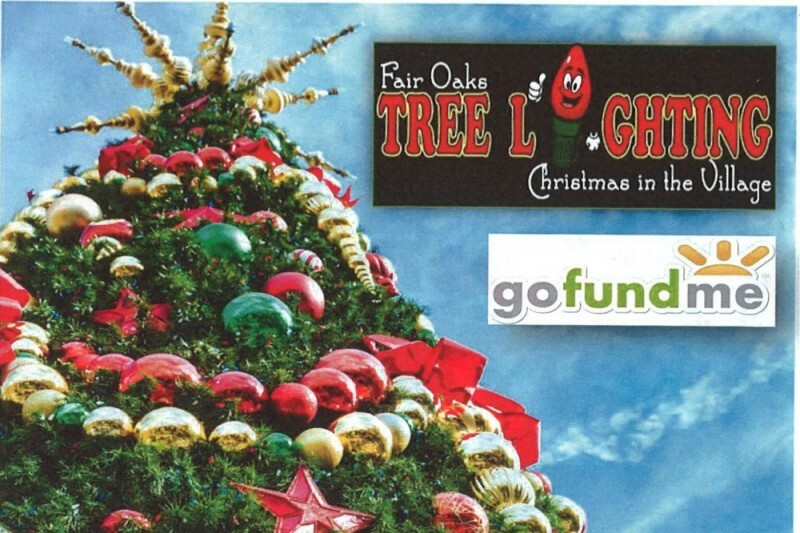 The Fair Oaks Chamber of Commerce along with the Fair Oaks Recreation & Parks District are asking for donations to help us bring back a Christmas tree to the Fair Oaks Village for all to enjoy during the Holiday season. For years we have hung lights on the large tree in the village for several reasons we can no longer do this, over the past 3 years we have tried several solutions to make it better but it just has not come to that just yet. We reached out last year to have a Community lighting of the trees which worked but it was not as Grand as we wanted it to be. We have had numerous people come to us and have said they want to help and be a part of this traditional event. So this is your opportunity to get involved in your community and help us reach our goal. We would like to have a 20 - 25' lite tree that we can assemble each year in Plaza Park. With getting a tree this large we can have it on display for the whole month of December for all Fair Oakians and vistors to enjoy during the Holiday Season. We are reaching out to all of Fair Oaks residents, businesses and community partners to help us reach our goal and make this become the Fair Oaks Community Christmas Tree. We will kick off the lighting of the tree on December 3, 2016. We need to raise at least $5,000 by November 7th so that we can order and have it shipped asap. Of course the more we raise the Bigger the Tree and the more we can decorate it. With your donation you will be recognized on our website and on the signage below the tree during the month of December. We appreciate any dontaion you would like to give! We are still collecting money to help us reach our goal. We are getting closer, we are going to have the Best tree that Fair Oaks has ever had and we need your help. All donators will be recognized on our website and on our display of our Christmas tree. Donate before this Friday and your name , family, business can be recognized too. We are almost there! We need to raise $5,000 by this coming Monday in order to get our Community Tree ready for the Christmas Holidays. Any amount you want to give, Fair Oaks residents, businesses, merchants etc this is for you. Thanks for helping us have a new grand Christmas tree! The staff of Mount Vernon Memorial Park is in full support of such a wonderful cause!